Yoga has been practiced for more than 5,000 years as a way to improve health and well-being. 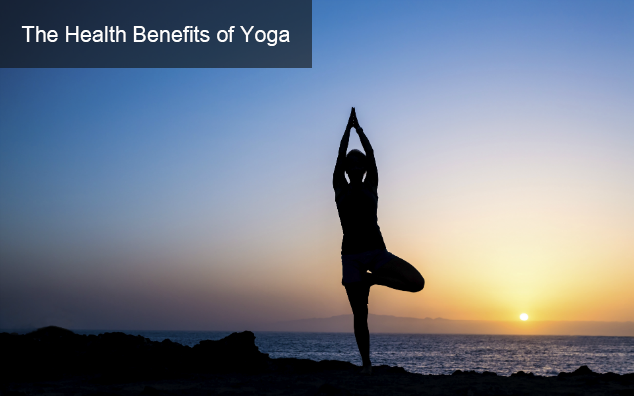 By uniting the mind, body and spirit, the health benefits of practicing yoga can be seen both physically and mentally. Yoga is a science that consists of observations, principles and theories regarding the connection between the mind, body and spirit. It is physically, emotionally and mentally challenging. While this is true, it is a misconception that you need to be flexible and in good physical shape in order to practice yoga. Yoga will help you become more aware of your body’s patterns of movement, posture and alignment—increasing your flexibility and fitness level. Not only that, but yoga is also often used as a stress-management and relaxation technique. The practice of yoga involves performing a variety of poses, called asanas, along with breathing exercises and meditation to cleanse and unify your body, mind and spirit. These combined actions increase blood circulation, which can stimulate the body to “flush out” toxins. Regular practice of the stretches, twists, bends and inversions—the basic movements of yoga poses—have many physical and mental health benefits. Because yoga requires you to stretch your body in new and sometimes unfamiliar ways, it helps you to become more flexible by using a greater range of motion of your muscles and joints. There are many specific styles of yoga, and practicing any kind of yoga will help improve muscle tone and strength. With greater flexibility and strength comes better posture. Because yoga poses develop core strength and body awareness, you will become more conscious of your posture. Any kind of physical activity contributes to relieving stress, and this is especially true with yoga. Due to yoga’s quiet and precise movements, it has the capability to pull your focus away from busy daily responsibilities and toward a more calm state by moving your body through sets of poses with balance and concentration.